According to the World Bank, more than one billion people these days live below the mark that determines the living status of the people which is above or below the poverty. With respect to the reports from the World Bank, India is home to the large number of poor people and it been the home nation of approximately one third of the poor of the current world. The poor people from India facing hard their hard times to get 1 time food on daily, both the central and state governments of India taking initiatives and launching various schemes to sort out the poverty issues from the nation particularly hunger from the poor’s. Though, there is no shortage of food production in India, yet the nation still has the utmost percentage of underweight children under five. If every one thing about these poor people then it is possible that we sort out this problem. Find out how much God has given you and from it take what you require; the rest can be served to the poor. On accounting those issues, the Ek Mutthi Anaaj scheme has be introduced in several parts of the nation. The Vishwa Hindu Parishad (VHP) plans to collect food from the well set peoples of the society for the poor’s. Working on same plan Vishwa Hindu Parishad working president Praveen Togadia launched this new scheme for poor people ‘ek mutthi anaaj scheme’ which tends to feed poor people and ensure that they won’t sleep with empty stomach. He also advises activists to gather one fistful of grain each month from every house to feed the poor. A handful of grain by Vishwa Hindu Parishad scheme started on Friday by its International Executive President Dr. Pravin Bhai Togadia. Under this scheme he plans to provide food to all poor people of city. This is possible by collecting food from all families of city. The Vishwa Hindu Parishad will create a grain bank in every mohalla. They plan to put carry bag at the door of every house and request to put grain in these bags every day. At the end of month worker of Vishwa Hindu Parishad collect these bags and will distrusted the collected food to poor families. After this, ten to ten kilos of packets will be made and grains will be provided to the desired families. Under this scheme, food grains will be introduced to the hungry people due to lack of food. No doubt it is good step taken by Vishwa Hindu Parishad. Once this scheme will be completely implemented and people get aware about the scheme, it will prove good for poor people. People who were not able to get food because of lack of resources are now able to get food. Poverty in city will get decrease as most of people will get food 3 times under this scheme. People who are not able to do work and have no source for food will also get food under this scheme. As poor people get food all the time so health problems also decrease in them. They will also able to live like normal people. With the announcement of this “ek muthi ahaaj scheme”, the governments along with the participants of private NGO’s plans to sort out the hungry of the nation’s poor people. Being one of the largest nation which holds high number of poor people, introducing such schemes ‘ek muthi ahaaj scheme’ and ‘Zero Hunger Act ‘gives strong hope on getting rid of the hungry from the poor people of the nation. The VHP (Vishwa Hindu Parishad) had taken the initiative steps on establishing the hungry free scheme on the eve of Mahashivratri. The Vishwa Hindu Parishad is known for their charitable tasks. This organization offers food, medical supplies and clothes to poor and needy individuals. The organization runs on generous donations from several sections. 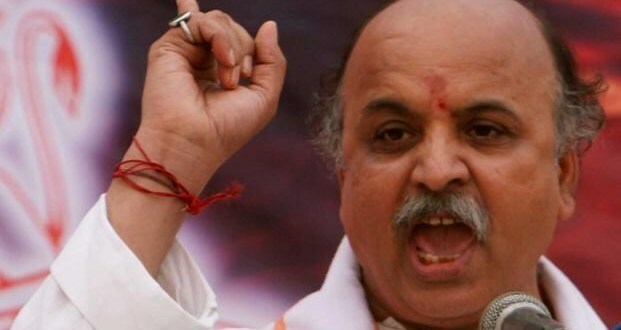 Praveen Togadia who is the current president of this organization recently came up with Ek Mutthi Anaj Scheme. Under this project, the members were asked to collect only one fistful food grain from houses. The members will visit each house only one each month. The collected food grains will be used to feed homeless and poor people. Beside eliminating poverty the scheme shall inculcate the habit of giving to others and knowing others agony. Materials those are not in use can be of some use of the needy.